The Eye question, 126 million rods and cones? This discussion is not complete without mentioning the eye, a marvelous piece of integrated technology. Do you know that the first image interpreted by the optic nerve is actually upside down! Your brain reverses them for you to see right-side up! 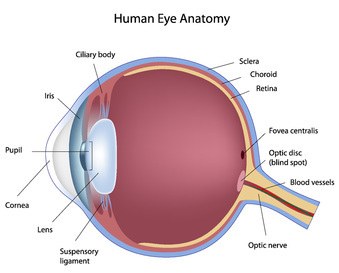 There are millions of connections in your eye and two major types of light receptors; Rods, for determining dim/grey light; and Cones, for determining color. Without Rods, your low light/night vision would be terrible, and without Cones you would be color blind! The rods are more numerous, some 120 million, and cones 6 to 7 million! (1) Evolution teaches that all this complexity began with a light sensitive spot on a worm, and because it wanted to see, all the other parts just came to be, with time! Isn't it a miracle that we have working eye's to read these lines and enjoy the world around us! Please view the eye video link below. The burden of proof lays with the evolutionist to prove how the eye and every other major and minor structure in biological life came to be. Instead they generalize in oversimplifications, lineup skeletons that have similarities (homology) and fill in the blanks with drawings and words to support their beliefs. We must always consider the information equation regarding complex structures such as the eye. A mechanism must exist that scientifically and logically explains it's origin and development. This always leads back to the cell and the information function of DNA. A Duck Billed Platypus in his element. Electic beek inclusive! Electric bill sensors,(1) venomous leg spurs, lays eggs, mammal, webbed feet, beaver fur and a bird beak! A 1987 report found the platypus can sense electric fields! 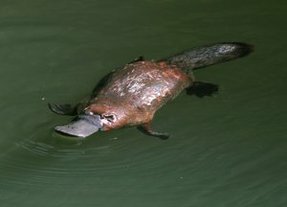 When a platypus dives, a flap of skin covers its eyes, ears and valves shut off its nostrils, leaving only it's bill to locate food. Biologists had thought the bill was nerve sensory only, feeling for moving prey. When they placed 1.5 volt battery at the bottom of a pool, a platypus found and attacked it with rapid snaps 88 out of 88 times. When platy was given a choice between a good battery a dead battery and a shrimp, they showed preference for the battery. One must consider this amazing sensory system, how it developed and what were its evolutionary intermediates? Or conversely, was this creature the end result of a plan? ​We have no intermediate kinds anywhere before or after Mr. Platy here, in fact, he appears at the wrong place on the evolution time scale and comes out of nowhere! He is a product of Special Creation and lives today, so someone must have a sense of humor! Such a scrambled DNA cannot be attributed to mutations and chance, electric bill inclusive! In truth, the origin of life is better diagrammed as a constellation that shows kinds living together right from the beginning. The Elm, noted as a symbol of prosperity! The Elm - "And seeds according to their kind..."
The unique and amazing seed/pollination system! 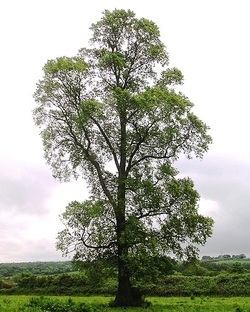 The Elm tree can produce as many as 1,584,000,000 (one billion, five hundred eighty four million) seeds! Three generations could forest all the planets in the solar system! Think of the convergent design in the seed/pollination life-cycle sequence above, and that this general pattern exists for every type of plant. No room for second tries. Complexity abounds. The seed, germination, seedling, tree! Who planned out this marvelous and ingenious system of reproduction and tested its operation? Where are the accidental intermediates if evolution was involved? How could evolution self-think this extraordinary sequence? Ask yourself, which came first, the tree of the seed? Where do we insert evolution into this cycle as pictured on the left? Such a small seed to produce such a beautiful giant, as in all plant life, design and planning are the rule. From a seed to this giant. The Wollemi Pine, surviving 150 million years? This 100ft pine was found living in Australia in 1994. Previously identified to have lived/died during the Dinosaur period, a researcher commented it was no different than finding a live dinosaur living today! (1). Evolutionists rarely reorder their time sequencing based upon new fossil evidence that doesn’t fit their dogmatic model, they simply explain them away as amazing oddities. 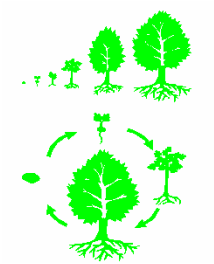 And now multiply this process to every tree and plant on Earth. We see no evolution of these today, as in the case of the Wollemi Pine, so how can common decent be true? 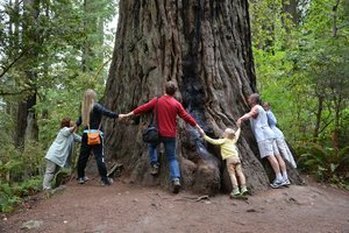 Redwoods 10ft in Diameter have also been located in Antarctica and fruit trees in Siberia, it's clear our Earth was different and had an event in the past, but a Redwood is still a Redwood and an Orange an Orange! In summary, when we look closely one see's immense intelligence and design, and not a single organism nor part that man can duplicate.